There are some places maintaining respectable bike shares even in winter. Surprisingly (or not), these include many Scandinavian locations. 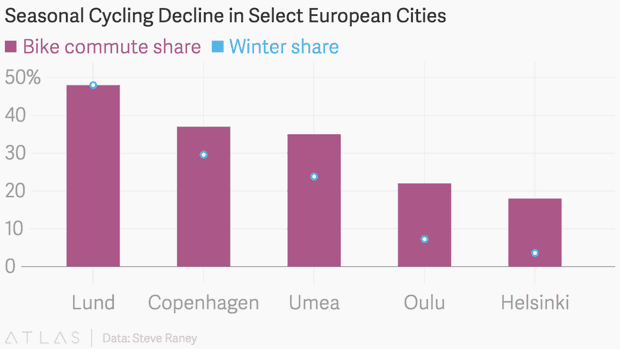 Copenhagen shows almost the same bike modal share in winter. Umea (Sweden) is even more impressive because despite its 130 snow days a year it preserves a 24% bike commute. 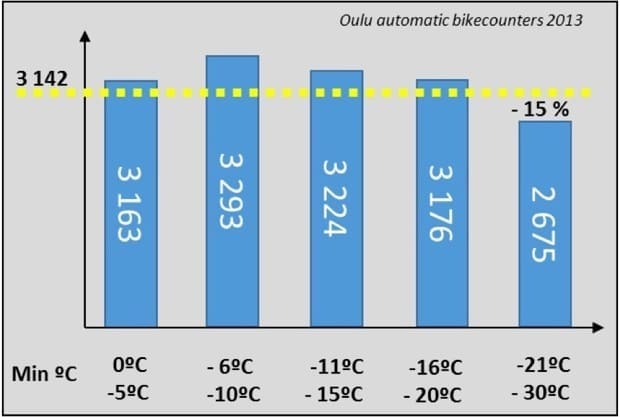 The main factor to influence winter cycling rates are the strength of a city’s bike network (ideally made up of protected bike lanes) and how well it maintains this network during the cold and snowy months (ideally as a top priority). 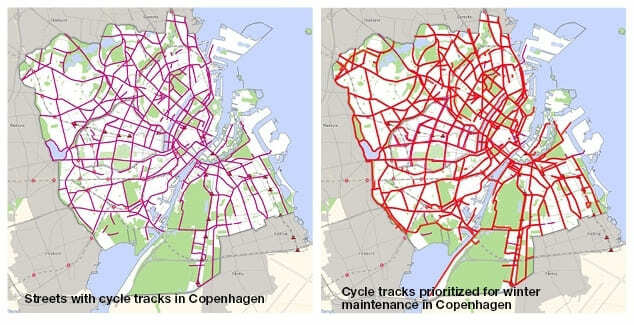 For example, Copenhagen salts bike lanes before it snows then makes clearing them afterwards a priority, even ahead of clearing the general roadways for car traffic.